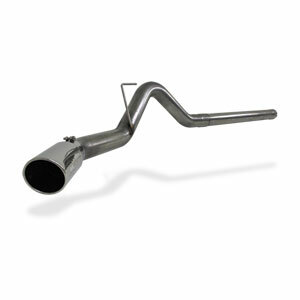 The MBRP "XP Series" 4" diameter stainless steel exhaust system for the '10-'12, 6.7L Dodge Cummins Turbo Diesel is a particulate filter-back type that mounts to the particulate filter and provides maximum diameter as well as reduced bend degree angles and mandrel bent pipe. Includes exhaust tip. The objective is to provide the absolute lowest exhaust gas temperatures, maximum exhaust flow, torque and horsepower possible. NOTE: Additional shipping charges apply to exhaust systems shipping to Alaska, Hawaii and International. Everything showed up quickly and exactly what I wanted.